Facebook has four distinct groups of stakeholders, but it’s doing an awful job in its relationship with each. Despite the urgency stemming from the outrage over Facebook’s data-collection practices, the company has become increasingly dysfunctional. Founder Mark Zuckerberg waited five days before responding to the data scandal, but he failed to apologize. That and other Facebook behaviors are very strange considering that to survive it must immediately mend relationships with consumers, policymakers, shareholders and advertisers. The latter three — policymakers, shareholders and advertisers — are unhappy over Facebook’s treatment of consumers. The growth-at-any-cost memo defending data collection by Facebook Vice President Andrew “Boz” Bosworth, completely blows up Facebook’s false propaganda about what it does. Such debacles are merely the latest covering several years as Facebook continues to incur the wrath of critics. This includes a six-point indictment by a leading professional publication, AdAge.com. AdAge is a daily must-read for advertising professionals. “Despite Facebook’s Harvard-dorm-room roots, the company’s M.O. is more stubbornly childish than post-collegiate,” he wrote in a January 2013 issue. 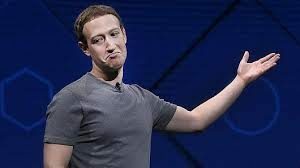 “Think of Facebook as a self-absorbed, petulant brat, one that doesn’t understand how to play well with others – users, investors, partners, competitors,” he explained. 1. The social medium showed its true colors as being anti-social when it provided privacy shortcuts for account-holders, but then quickly squashed the service. Excluding its U.S. revenue, Facebook’s global advertising revenue is funneled through Facebook Ireland, which launders money and moves it to the Cayman Islands. This means Facebook’s non-U.S. revenue $1.34 billion in 2011 had a tax rate of .3 percent. 3. Facebook’s Instagram tried a new Terms of Service form of chicanery, but was forced to cancel it. The policy meant Instagram could sell your pictures without paying you. 4. Facebook is an undesirable business partner. It works to maximum its profits by constantly “changing the rules of the road for partners.” Mr. Dumenco cited Zynga as an example of being victimized by Facebook. 6. Facebook joins Amazon in refusing to use the advertising sector’s Ad Choices, which is the accepted ad-privacy program. This means advertisers must spend an inordinate amount of money and time to address privacy issues. For more details, you can read Mr. Dumenco’s column here. Government Warns Business in Ruling Against Costco on Social Media Policy— Many companies encourage their employees to promote their offerings and services on social media. But beware, it was bound to happen: The trend has caught the attention of the National Labor Relations Board (NLRB), which can dictate your social media policy. Facebook Privacy: Advice for Job Seekers and Employers — The practice by some companies to require job seekers to reveal their Facebook passwords so they can spy on the applicants’ private information prompts a couple of Biz Coach reactions: For job applicants and companies. For job seekers: Any company that would require disclosure of your Facebook password is an undesirable employer.